Click here to visit the Purex facebook and like them. Then on the “Like Us To Enter” tab, fill out the form to enter their sweeps. 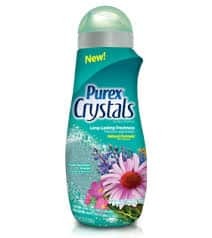 100 winners will score a coupon for a free bottle of Purex Crystals in fabulously fresh fragrance. Good luck!